Operation Update: A huge thanks to PCPP for the feature! Super friendly community and fantastic site. Very humbled to be considered feature worthy! Let me know if you have any questions about the build or components. See component reviews for individual mission performance. Appendix 1: Significant early adopter challenges experienced with CPU, motherboard, RAM. While these will most likely be resolved with time, it certainly added material effort and delays to the build process which negatively impact customer satisfaction. Appendix 2: Hard line water cooling setup had a number of challenges including: 1) top mount 240mm radiator had to be offset to the rear to allow the front mount outlets to be placed at the top, this resulted in only 4 of the 8 top mount screws being able to be used. 2) EKWB PWM radiator / pump combo still uses molex power, should really update these to use SATA power. Appendix 3: Finding a coolant that would look good both when the system was off, and on, was hit and miss. First up was the PrimoChill Steel Blue, but it ended up being practically black inside the system (maybe designed for a white theme?). Then the Koolance Fluorescent Blue and this worked beautifully, giving a nice solid blue in both settings. Appendix 4: Side mission to secure an RGB hub to replace the 2x RGB Y-splitter cables failed. Purchased Silverstone LSB01 arrived with custom connectors that apparently only work with Silverstone RGB strips. No alternative suppliers have yet been found. Mission scrubbed. Appendix 5: Samsung 960 Evo originally failed to detect in Bios and Windows installer. Solution identified as re-seating the NVMe drive, installing Windows, which then resulted in drive being detected in BIOS. Appendix 6: As I can't review the Ergotech Freedom HD monitor arm directly (shows as a custom part), I wanted to call out here how excellent it is. It can handle up to 30 lbs (X34 is only 16), and saves a huge amount of desk space. The only 'cons' for it is the clamping mechanism should really have two threaded screws (left and right), rather than one central screw. As the way it is if the arm is off to the side, the whole assembly tilts quite a bit, potentially damaging the desk. Appendix 7: While all chassis devices now sync via ASUS Aura Sync, the software appears unstable at times, with a hard power off losing settings, and randomly the Trident RGB losing sync. Will continue to monitor and assume later versions of Aura will resolve. Appendix 8: Ongoing challenges in acquiring a replacement Displayport cable for the Acer X34. Original cable works fine, but is only 5 ft in length. 3 separate longer cables have been tried with mixed results, but ultimately all show a ‘no signal’ error. Will wait for certified Displayport 1.3+ cables to be available and try again. Appendix 9: Custom modifications were required on the PSU shroud to oclude the cables inside. A thin piece of black craftwood was shaped and is held in by friction. Additionally the chassis border on the bottom and left sides is very narrow and results in a lot of light strip bleed, so thin pieces of black cardboard were inserted to provide a more pleasing visual effect. Being a long time ASUS ROG enthusiast, the Crosshair 6 was the natural fit for the Ryzen CPU. The early adopter issues have been quite frustrating to deal with, and that's coming from someone who's built PCs for 20 years and often gotten in early on new releases! 1) AMD rushing the Ryzen out, Asus had 2 weeks to get the boards ready! Stability issues, should be sorted within a few months. 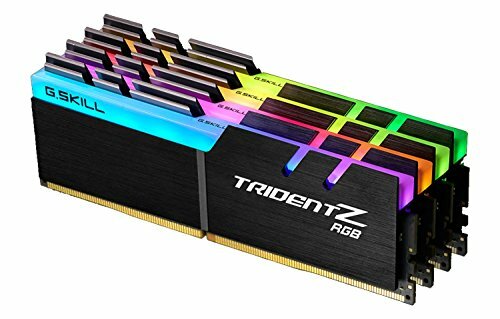 Looking for some good high speed RAM for the Ryzen, and these looked the part. Can't get them to overclock above 2400 so far, but hopefully AMD / ASUS sort the issues out before long. Not a fan of buying FlareX / AMD spec'd RAM, lower speed for the same price. The super fast Samsung NVMe drives are very nice. Was looking at the Pro series, but reviews were that the performance was not detectable in day to day use, so the Evo got the approval. 1TB means I don't need any other drives in the system, so cuts down on cable clutter as well. Being a water cooled build, I wasn't worried about getting a 3rd party overclocked card with better fans, so the Founder's Editions were the way to go. Being an ASUS motherboard, I got the ASUS FE to go with it. 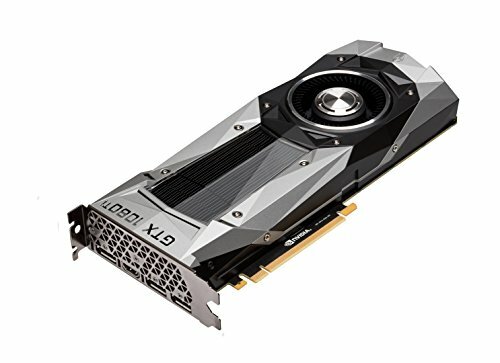 I plan to sell the card when the 11 series GTX (or 20 series) comes out. Overclocks quite well +175 / +500, and runs cool on water even under full load for hours (+30'C above ambient). 2) With EKWB water cooling it runs at +30'C over ambient under full load, overclocked! Probably the hardest choice for this build (besides the CPU), was looking for a clean mid range case with lots of glass and good support for water cooling. Other contenders were the Phanteks Evolve, Inwin 909, Thermaltake View 31. While the Evolve was a bit larger, the air flow was not great. Similarly the Inwin looked great, but I would have needed to mod it a fair bit. The Corsair was a great middle ground and looks amazing built. 1) Supplied RGB fans are not Aura Sync (or MSI, etc.) compatible, which means you are paying for them but have to swap them out anyway, should be an option for 'no fans'. Similarly the supplied RGB hub only works with Corsair SPL120, not even other Corsair RGB fans, seems poorly conceived. 7) Front lower Corsair logo and side PSU corsair logo are illuminated white, with no option to change. Should come with RGB LEDs at least to swap out, if not true RGB. Also side Corsair logo requires molex power, very annoying. As a replacement for a Dell U3011, I was looking at either the Acer X34 or ASUS PG348Q. Reviews were that they were basically identical, so when the X34 came on sale for $200 off, it was an easy purchase. I would have liked to get HDR, but that seems to be a year away yet. The 27" HDR monitors have just appeared and indications are they'll be $2000, yikes. 1) Supplied Displayport cable is too short (5 ft) and can't find any longer ones that work with the monitor! Have tried 3 so far and all give a 'no signal' error, annoying! Your intro paragraph had me cracking up! Wow what a beauty! Thanks for the pictures and pros and cons for all your parts. I linked your build to my friends because I wanted them to see this work of art. Congrats and gl being featured! Thanks Adam! It's been 2 months of hard work, but we got there in the end. this is sooooo amazing!!! 1+! looks great! damn! i love it! this has to get featured!!! Thanks Lyrix, glad you like it! Thanks Steelnoose, glad you liked it! Please enter up in setup wars. You would win no problem. AYyy. Tell me if you get on. Thanks DubiousDeeds! Glad you liked it. Also did you have any trouble fitting in those radiators with the fans? Hi Tylerhocker, the front was fine - plenty of clearance (maybe not enough for a 60mm rad), the top was tough as there is minimal room above the motherboard heat shield and the RAM, but as you can see it all fit in the end. Note my comments previously about only being able to screw in 4 of the 8 top screws (fans to fan bracket). Great job, Great work, looking good, well done soldier you have been successfully recruited in the Elite class of the Black ops. Congrats, your CODE NAMED: NEO. Thanks Hellraiserr, glad you like the build! I'm speechless, so just take my +1. Thanks Crookz! Glad you liked it! Great work , everything looks amazing . I think you should have go with the Phanteks Evolve even tho the air flow is not great . You are water cooling everything anyway . Where did u get the glass cabinet or is it table on the right side ? Looks awesome . Thanks Hector, I was definitely keen on the Evolve, and the decision could have gone either way. 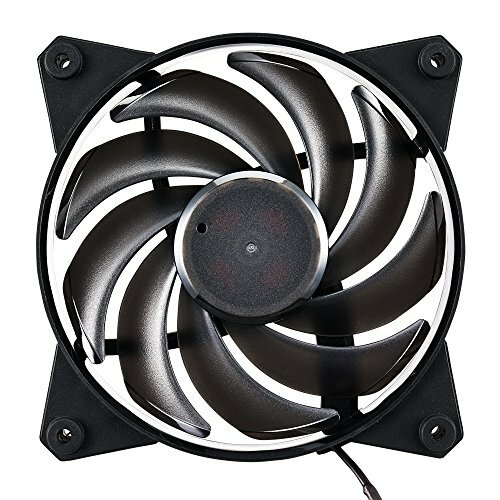 I do run the fans very slow (30%, about 700 RPM) so I was worried about the air flow on the Evolv. Awesome build and write up! Thanks, for sharing your experience. TAKE MY +, actually take all of them ! Thanks Daumq! I've had this desk for ages, probably 10 years, and I've completely forgotten what model or where I got it. I actually looked around recently for another one the same and couldn't find one! Sigh. sigh, thanks anyway ! May the frame rates be high and temps low! Hi Dominick, glad you liked it! Agree re the 1800X, some reviewers have suggested the 1700 / 1700X that are performing as well are due to them actually being binned as 1800X, but sold under the cheaper model numbers! Congrats on being featured!! Well worth it. I really really like this build. Feels damn good right? Hey! An Aura compatible fan! I've been looking for one all over! Haha, they are crazy hard to get, and from what I can see there's no real reason for that. The good news is the Coolermaster Air Balance RGB works just fine. If you're going for a few though (such as the 6 in my build), have a think about how you're going to wire them up. There are still no good RGB hubs on the market. Coolermaster say they've got one coming sometime. Hi Dominic, I was using Razer before, but overall the reviews for the Logitech gear seemed slightly better. Have to say I've been very happy with all the Logitech gear in the month or so I've had it. 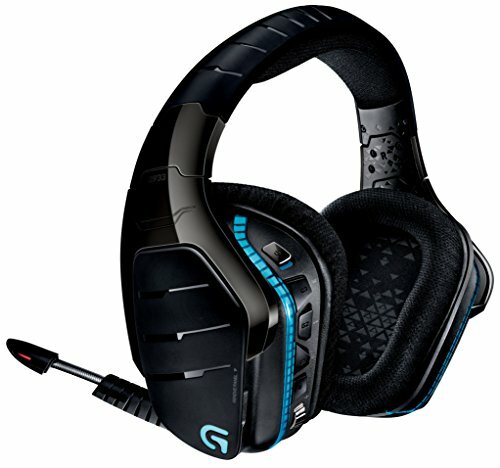 I Use Logitech too I got there G910, G900, And G933. This..... Blows my mind! I love it! +1! Side question: Do you like the G810? 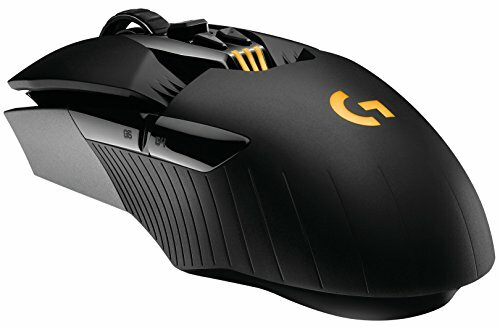 I was thinking of upgrading my G510 in the future, get me some of them G-Romer keys. Hi Kardude, glad you like it! The G810 is great. I was waiting for the TKL version, but it was taking forever to come out in Aus, and went ahead with the G810 when it was on special. It's a lovely fast, quiet, mechanical, and obviously the RGB matches everything else, haha! It's builds like these and a clear commitment to the community on here that have me coming back to PCPP over and over. Great build man. Your enthusiasm is righteous. Your description makes the build even more worthwhile. Nice job! Thanks Wireless, glad you liked it! Amazing build man. Only comment I have is about the point you made that you got a founders edition because you were just going to watercool it, so you didn't need the bigger cooler. While that is true, it may still have been worth going with an aftermarket card to get upgrade power phases so you can push more power to the card for even further overclocking. EK makes waterblocks for almost all of the aftermarket cards nowadays so you would of been fine. That's my only comment man, either than that great job. Glad you liked it Aion-MC! Excellent build and well deserved feature. Also, thanks for listing your headset holder as they often get overlooked. I've been after one for a while and the Luxa2 looks ideal. Thanks Chaos! There were some nicer ones like the SilverStone EBA01S, but for the price I'm very happy with the Luxa. Hi great build! Looking at the pictures closer I would swear the tubing and metal tube fittings were custom made. The tubing lines are very well done. Does the liquid go the opposite way being in AUS? hehe =p My question is about your desktop image. Is that art, a program, game or ...? Thanks. Hi Raphen, glad you like the build! Good question on the desktop image, I was trying to find something to go with the Blackbriar theme, and the best I found was out of the game Deus Ex Mankind Divided, so I took a screen shot and it worked out pretty well. Thanks Craterking, glad you found it all helpful! Researching all the parts and then troubleshooting all the various quirks was a royal PITA, so I'm happy if I can share my experiences with others! This is as close to perfect as I've ever seen! Both your build and the room/battlestation looks so clean and stylish. Thanks Ricardo, glad you liked it! The lack of SSD / HDD certainly helps. The cabling for the 6 fans PWM + RGB was a mess, and I had to cover it up. Plus not happy that the case requires a molex power cable for the PSU LED (tempted to leave it off), and the EKWB pump requires molex too, bleh. Noah, I've been on this site for awhile, and use it religiously. I've seen a ton of "Featured Builds" throughout my time here, but this is the first time that I have been thoroughly impressed enough to actually care to write a comment. So Noah, FANTASTIC job! 1) Excellent components were chosen (you chose the same things I would have and you water-cooled) 2) Excellent build quality & cable mgmt. Aesthetics are off the charts! 3) Excellent quality photos 4) And here's what I loved the most...you took the time to give pros/cons to every major component you used. And in summary, this tells me that you are not a lazy person, and that you are here to benefit this community. This has been a build that I will remember. 2) What's the purpose of the water cooled valve in the bottom right hand corner of the case (in photo). I'm assuming it's to drain the system so later you can refill, but I don't like assuming, so please tell. 3) If you have water-cooled in the past, and if you have water-cooled with a different manufacturer, how has your experience been with EKWB's products? And if you used their configurator to purchase your parts, are you satisfied? a) Positive Experience - Superior performance, aesthetics, hassle-free, etc. b) Indifferent Experience - Same experience as their competitors (XSPC, Alphacool, etc) c) Negative Experience - Even if it's slightly negative to full hatred. And please elaborate what you would do differently in your water cooling setup, and why. 1) Yes, primarily a gamer. From a pure performance perspective, I'd very happily go Ryzen 7 again. I was definitely tempted to go the 7700K route, but I've always been a fan of 'more cores', and some reviews I saw showed the 7700K was maxing out all 4 cores already in some games, thus for future proofing I was reluctant to go 4 cores (previous PC was 6 cores already). The early adopter issues were certainly more painful that I expected, but hopefully anyone building a PC today would have far fewer issues. The other option would have been a 6900 or 6950, but the prices are just crazy (+900/+1600 AUD). 2) Yes, it's a drainage port. I've since read some people building without reservoirs / drainage ports, and I'd be keen to try something like that next time for ultra-clean aesthetics. 3) Unfortunately this is my first custom loop, so I can't answer from a prior experience perspective. Previously I've been a big fan of AIO closed loops, and they've been great, but I wanted to up the ante this time. That being said I was a fan of EKWB from their configurator and reviews of their products. The compression fittings are mostly Primochill, which are often regarded as the most reliable for this, and having used them I'd definitely use them again. What I would do differently: Having done a ton of research into the loop before hand, not much. The afore mentioned drainage loop / reservoir perhaps. Offsetting the lower stretch of the loop (reservoir to GPU) to the left using an additional right angled fitting (so it didn't occlude the reservoir). Otherwise I'd probably go for a more 'project' oriented case next time (like the Inwin 909). Sincere thank you Noah on providing your insight! I know you've probably been busy all day responding to the wonderful comments/questions on here, and I really appreciate your feedback which will help me do my build :) I'll send you a personal message when it's completed, take care! +1 for using RGB for its intended purpose instead of unicorn poop. Build is bad *** too. I cut out a thin piece of black craftwood I had handy. It fits into the front opening of the PSU cover nicely and I think it looks great. No worries DivineOnyx, glad you liked the build! Very illuminating and well written summation. Thanks for taking the time. How did you mount your pump/resevoir? Btw great build! Im going to be building a custom loop in the 570x soon. Hi Tylerhocker, it's screwed to the rear wall. The EKWB pump / res combo comes with an anti-vibration ring mount. Glad you liked the build! Don't know how long you need for a Display Port cable, but I'm using this one with my EVGA 1080 FTW and an ACER X34 with no issues. Thanks Crich, I was looking around 10 feet, so that I could wire it through the monitor arm. The supplied 5 feet one is just crazy short (as many reviewers have pointed out). I saw a nice Fusion4K one on Amazon, but shipped to Australia would have been like $100. So I'm just going to live without for the moment. I wonder if the attenuation at that length is just too great. Per the specs, it says it should be able to handle 4k up to 15feet, although it doesn't give corresponding frequency ranges. I might as well give up now. Thanks Shadowcrafter, the lack of SSD / HDD certainly helps! I had to hide the RGB / PWM cables as they were a nightmare! Glad you like it blue_dreamer! I spent a lot of time researching the routing for the water cooling, cases, radiators, and finding the nicest look with the best air flow, certainly wasn't easy! How has the x34 been for you? I got one and I had scan lines at 100hz and now I am noticing very small horizontal grey lines on the screen. Are you experiencing something similar? Hi FWP, no, no issues with the X34 (besides the Displayport cable issues I mentioned). It runs fine at 100 Hz with no scan lines / grey lines, and the general quality seems great. I have heard that not all of them will hit 100 Hz, and it sounds like you have one of those, perhaps consider an RMA? I think I am just going to return it and pick up the z35p when it supposedly releases at the end of May. the Acer X27 HDR looks to be the killer deal for a G-Sync 4K HDR monitor with 99% Adobe RGB. damn what a good time to be alive. By the way, what is the rgb code for the blue on the motherboard and ram. It looks perfect! Hi FWP, it's just the dark blue preset. The Aura Sync software doesn't give you RGB numbers. Thanks C.higgins! Was not expecting that! Wow! This build is Amazing! so i guess your max OC is 4GHz? some buddy of mine with the same mobo and CPU for 4.2GHz is the 1800X with a air cooler! Hi Dragoon, 4.0 GHz was an easy stable base, and I'm waiting for the AMD / ASUS bios that better support RAM overclocking before I spend too much time tweaking it. Hopefully I'll be able to get to 4.1, but I don't think my chip will get to 4.2. Silicon lottery I guess. some suggest 1.375V to 1.4V but temps will shoot up and the temp offset isnt helping unless the BIOS has been tweaked to compensate the 20 degree offset. Hi Dragoon, yes I was reading about the 1107 BIOS last night, seems they are definitely making good progress. I'm hearing Vega will only compete with 1070/1080, but fingers crossed they can pull something out. Definitely need more competition at the high end. Thanks Islandg, glad you like it! Regarding your two builds, I'd suggest maybe the first one, but drop 16GB ram and use the money to get the 1080 Ti instead. All depends what you're going to use it for of course. I love your decision to go with ASUS Not because I love them too much or anything... They're reliable to the grave and I've never had anything fail from them ever. This build is exactly what I would do if I had the cash to build one. Agree, I usually go ASUS for most things, especially motherboards. Though their speed in updating the BIOS for the Z370 hasn't been great (latest BIOS 1002 has been out for about 5 weeks now!). Very well done! The AUD prices are very harsh IMO but very nice build! Yes, conversion rate plus general Aus mark up is a major pain. Not much we can do though. Thanks Mokey, glad you like it! The problem is that if you check asus ram compatibility list for your motherboard, you will see that all the trident Z that are listed as being compatible are the ones with CAS14 which have exactly the same timings as the FlareX. The ones you bought with CAS16 are not listed. The only problem with all the CAS14 trident z is the price but they should perform exactly as the flare x.
Hi Pegotico, that is all very true and yes I did read about the CAS14's after I started the build. In AUD they were about 250 higher, which seemed excessive. I'm hopeful the CAS16 will eventually perform reasonably, perhaps 2866 or 3000, even if they don't get up to 3200. Always hard to decide with a new platform. Yes!! Even in USD, its more expensive... Have you tried playing around with the timings to see if you can get a higher speed? Yo, this build is CLEAN! I need to clean up my desk considerably lol. +1 on the blue and dem TRIDENT Zs! Thanks SirHalpin, glad you liked it! No you aren't. Because if you were in your office, we'd be having this conversation face to face. I suddenly became very self concious of my own computer... What an awesome build, you have a fine specimen on your desk. Thanks PW, glad you liked it! OMG!! WOWZIE!! +1 Just peel off that PLE sticker. Glad you liked it Jackdadog! Nice what is that vesa mount called? The Ergotech Freedom HD monitor arm comes with the VESA mount / screws that you need for the Acer X34. Thanks Dromedus, very glad you liked it! Would you recommend the Ryzen 1800x for gaming? I am using it for gaming and it performs great! It really comes down to your budget, the purpose of your build and how many years you need it to perform. For example if you plan to upgrade again in less than 3 years, I would suggest a 6 core varient Ryzen would be more cost effective. Similarly the 1700/1700X both overclock up to about the same level as the 1800X, so if budget is a concern then these would be more cost effective. For my purposes I wanted 8 core minimum, and budget wasn't a concern (but not paying Intel 6950 prices! ), and I was hoping the 1800X would overclock on water cooling better than the 1700/1700X, which ended up not being the case. Awesome build, what table is that? Hi Koraxtu, glad you like it! I've had the table such a long time (2006) that I genuinely don't know what the model. I recently tried to find another one but couldn't find anything similar. Hi Gaming_Universe, no problems with the CH6 besides the earlier stability issues I had. The Aura Sync software continues to be a bit flaky with the Trident Z RGB Memory, but otherwise all good. Still waiting for the 20'C offset to be fixed in the CPU temperature detection. you win PC part picker... ok? good. Hi Blue, unfortunately I started a new job not long after building this and have been flat out working ever since. I hope to get back to some tweaking in the next few months. Not ideal I know! Yeah any updates on the RAM?? All the issues been fixed? Running at correct clock speeds? Look on G.Skill's website, will tell you in each RAM's QVL's if it's compatible with your Mobo. Compatible = Yes, but I haven't finished tweaking to see if I can get them to run at the full 3200MHz since I started a new job a few months ago. The Flare are the recommended models, but more expensive and no RGB last time I checked. By the way how has overclocking your memory gone now since some time has passed? Has the bios updates helped at all? This may be the most beautiful build I have seen in the past year on this site. Well done! Hello, I was thinking of purchasing the A240G (EK Aluminum kit for CPU and GPU). Do you think a 240 rad is enough to cool both? I see you have a 240 and 360. No, I don't think a 240 would be enough for both, unless of course you live in a cool climate and don't do any overclocking. Since I live in a relatively warm area and like overclocking, the 240+360 is still pretty warm (as per my temps in the article). did you 3d print that little basement conver thing? No, it's a piece of thin wood from a cabinet that I cut and filed to fit. It works great! Looks great. Excellent work on the bends. Would you recommend this for a first time builder? This will be my first ever build, so I don't know if water cooling is a good idea. I might duplicate your build if its not a bad idea. Hi wondersplitzen, I wouldn't personally recommend water cooling for a first or second build, unless you've got lot's of spare time and quick access to alternate parts for troubleshooting. Might be a shot in the dark but, what type of desk is that you have with the glass top and what length is it? Thanks for any help. Hi James, I've answered this previous. Long story short is I don't have the exact details any more (it's ~10 years old), and can't find anything online that looks similar. Sorry! You have the same Mobo as I am planning to purchase, and the case. I am planning to get a Arctic Freezer 240 (Push Pull) on top. Hey! I've got to say, AMAZING BUILD! I currently have a really similar build as yours, but am planning to upgrade to a hardline build really soon, purely due to aesthetics. I am currently running a soft tubing build, with 2 240 Radiators. Planning to get a 360 Radiator for the front, did not realise that the case has pretty bad clearance for 360rads in the front. How is your 240 rad holding up with only 4 out of the 8 screws screwed in? Thanks! Really good, nice and quiet. Would have preferred the ten keyless but wasn't available in Australia when I was building. Beautiful system! Beautiful setup as a whole! Very detailed write-up as well. As sweet as all of your gear is, I think I'm geeking out the most over your desk. That's super clean. What kind of desk is it and where did you get it? very nice build, was looking for a similar build, and yours one make sense perfectly. im trying to get a fan case, and the case u have. i heard the cable management was hard with that case but it looks amazing. tell me if u had problems setting up the pc with that case, and tell me why u have alot of fan cases. is the fan case color blue???? and your computer looks mad nice. im happy for you. Where did you get that computer desk?! I am looking for some computer desk like those. what monitor mount is that? Excellent, if somewhat frightening description. +1 for staying in character. I normally build all my own PCs, but I had heard bad stories with the Ryzen and motherboards dying, etc. And figured I would go with a premium PC builder for the base of this system so that they could mess around with all the RMAs and swapping parts in and out. Very glad I did because sure enough the mobo and RAM both ended up being faulty. Would have added another 4-6 weeks onto the process if I had done it all myself. Just a calculated choice on this one. What type of tasks are you planning on using this machine for? Hi Thetortuga, mainly gaming, office work from home, some software programming, maybe some algorithmic trading when I get back on to that. Awesome work,just wished you didn't use amd. Besides the early adopter issues I outlined, I've been very happy with the Ryzen. For a dollar per GHz per core basis it's fantastic value, probably $1000 cheaper than the equivalent X99 build. Man, Don't get this description at all. but what's up with the cheap looking case full of cheap chinese LEDs? Thanks Tbrown, glad you liked it! Have started working on my next PC, going to build a full custom chassis this time, ack! Thanks Salamanderman, glad you liked it!